Replace mode would ignore all GPOs applied to the user up until it got to the OU with the loopback policy, and then apply ONLY the GPOs with user settings in the OU with the loopback policy. This still works as expected in 2008/win7. Merge mode would ADD the additional GPOs to what was already applied to the user, overriding any existing settings as needed, effectively merging them. This is what no longer works as expected. Microsoft published this KB, 953786, which says that the PCs now need to have a entry in the ACL of the GPO allowing them to read the settings of said GPO. What I’ve done to make this easier for myself is added the “Domain Computers” Active Directory group to any GPO which contains the user settings that I wish to apply via loopback merge. In my testing, this added ACL entry has solved the issue, and allowed it to work as I expected, which is the way that 2003/xp behaved. This entry was posted in Microsoft, Windows 7, Windows Server 2008, Windows Server 2008 R2 on November 27, 2012 by SeanLaBrie. You’ll need a .pfx certificate in this guide, so once you have your certificate and any intermediates that need to be installed, export the certificate and include the entire chain the export, assign a password and then save the .pfx somewhere where you can access it from the terminal server. Click “Start” and then “Run”. Enter “mmc” and then click “OK”. Click on the “File” menu and then select “Add/Remove Snap-in…”. Click “Certificates” and then click “Add >”, when prompted choose option “Computer Account” and then click “Next >”. Select “Local Computer” and then click “Finish”. Click “OK” to complete the add snap-in wizard and then expand “Certificates (Local Server)”. Right click on the “Personal” folder and then select “All Tasks”, then “Import…”. Enter your password, and then click “Next >”, click “Next >”, click “Finish”. Now open “Remote Desktop Session Host Configuration”. Right click on “RDP-tcp” in the center of the window and select “Properties”. On the “General” tab, click the “Select” button, Select your certificate, and then click “OK”. Click “OK” one more time, and then all future connections will be secured by the certificate. This entry was posted in Certificates, Microsoft, SBS 2008, SBS 2011, Terminal Services, Windows Server 2008, Windows Server 2008 R2 on August 23, 2012 by SeanLaBrie. Let’s say you want to roll out some default settings to IE, but you don’t want to prevent users from making additional changes. In the past I’ve seen this done through the Site to Zone Assignment List GPO but you end up with users who can’t modify those settings once they are set at the GPO level. The problem is this: say you’ve got a partial list of websites that should be placed in Trusted sites, but you don’t have the full list and you know users are going to need to add additional sites ad hoc. Make all of the appropriate changes for your environment and then press OK. These will now be the default settings for any users whom this GPO effects. To be clear, I’ve not tested to see if these settings will re-apply if they are removed by the users, but my hunch is that if the users tries to remove any of these settings, they will be reapplied the next time the GPO is processed. This entry was posted in Internet Explorer 8, Internet Explorer 9, Microsoft, SBS 2008, SBS 2011, Windows 7, Windows Server 2008, Windows Server 2008 R2 on August 8, 2012 by SeanLaBrie. The HP printer status notification is enabled by default. You can disable it manually for each printer just by clicking on the Settings option when the GIANT ANNOYING BIG SQUARE BOX pops up in the bottom right corner of your screen, but of course, you would not want to do that for every client; thus, GPOs become very useful. Depending on your environment, there are a couple ways to accomplish this. If you have your server acting as the print server and sharing out all your printers, you are in luck. 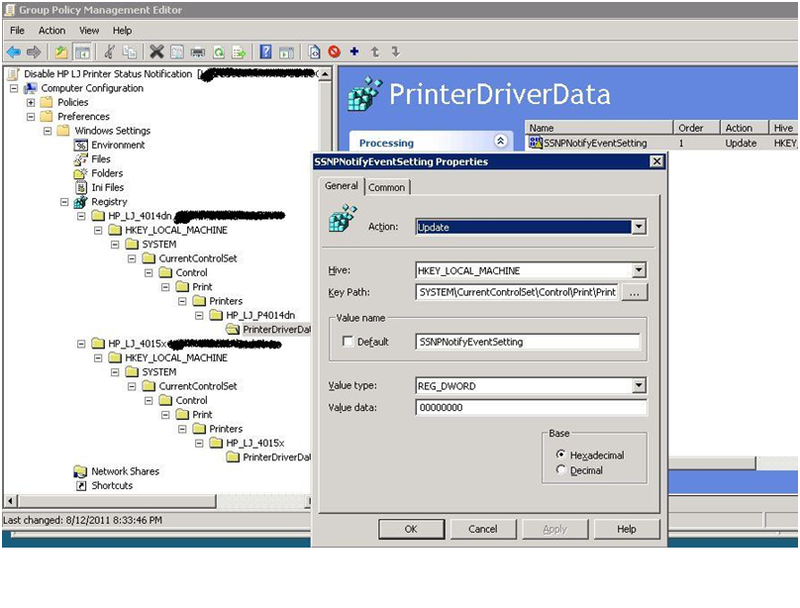 HP makes a Universal Print Driver AD Tool Kit and Template that you can add to your GPM console. Once the new options are added, you can easily disable the status notification option by checking a box. Download the HP Universal Print Driver AD Template and Guide Park-1.4 from HP’s site. Right click on the User Configuration section and add the .adm file you just downloaded. This will give you added features. See Figure 1. Figure 1By Selecting “Disabled”, you will stop the status notification from popping up on all your HP printers. NOTE: This is a User Configuration policy, thus, you can only apply this to an OU that contains users, not PCs. Also, this will ONLY work if you are using/installing shared printers from the server. If you are using local IP printers, jump to the next section. If you are using local IP printers, disabling the status notification is a bit more complicated. This is because you can only affect the HP Laser Jet settings using the options under the Computer Configuration section, not the User Configuration section since these are installed as local IP printers, not shared printers. The printer settings are connected to the PC, not the users. Unfortunately, the HP AD Template only adds options under the User Configuration, not the Computer Configuration, so you need to follow these steps to accomplish the same task. Create a DWORD value named: SSNPNotifyEventSetting, Give it a “0” value and repeat this step for EVERY printer you need to modify. Right click on the right side and choose New/Registry Wizard. Select the PC on which you installed the printers above. In the bottom section, go to the registry DWORD setting you just created and select it. Open the preference you just created. Check Item-level targeting and then click the Targeting button. Click on New Item and select Organizational Unit. Select the OU to which you want to apply this preference. Note: You can rename the preference in order to keep track of the printers you are modifying. This entry was posted in HP, Printers, Windows Server 2008, Windows Server 2008 R2 on August 15, 2011 by SeanLaBrie. Remember the days when you could right click inside of the “Printers and Faxes” window and add an additional print driver? Me too, but those days are gone my friend. Apparently Microsoft fired the “good ideas” guy. So you’ve got 32 bit Clients and a 64 bit Server sharing a printer huh? Are Clients prompting for the driver every time you try to connect…? Right Click on the Print Server in question, and then Select Properties…. Click on the Drivers tab and then Click Add. Click Next. Check off both X64 and x86 Drivers, and Click Next. When prompted select the location for one or the other, and when prompted again, specify the location of the remaining driver. 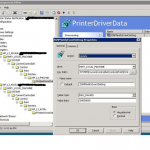 Now Create a new printer, using the installed driver, and share it. Click on the Drivers tab and then Click Add. Click Next. When prompted select the location of the remaining driver. This entry was posted in Microsoft, SBS 2008, SBS 2011, Windows Server 2008, Windows Server 2008 R2 on July 14, 2011 by SeanLaBrie. If you’re like me you use RDP all of the time, You’ve probably got tons of RDP icons with the passwords saved in each one so that you can quickly bounce into all of the servers you are managing. If you’ve upgraded to Windows 7 as your workstation OS, you’ve probably also noticed that those RDP connections are now no longer remembering your passwords for connections that connect to Windows Server 2008 or Server 2008 R2. Click OK, to close the Show Contents Window, Click OK again to close the next window. 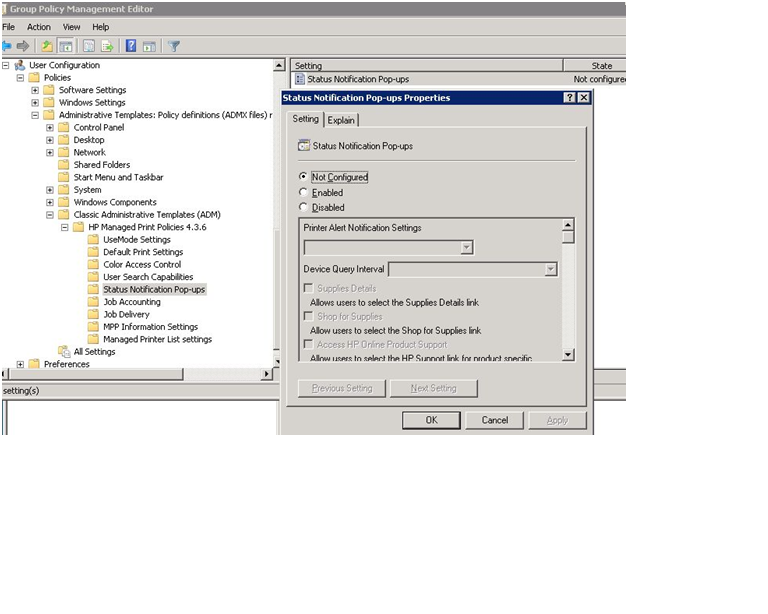 You’ll now be able to save credentials into RDP connections for Server 2008 / 2008 R2 connections. This entry was posted in Windows 7, Windows Server 2008, Windows Server 2008 R2 on February 11, 2011 by SeanLaBrie. Once that’s been done, reboot and then you’ll be able to run a Windows Backup to any volume. Now the next time I do is create two batch scripts, one for MWF, and one for TTh, but again I’m crazy. Schedule these to run on their proper days and there you have it, the last two days worth of system state only backups, ready to be picked up by a 3rd party backup software, or to be used to restore system state in the event of Active Directory corruption or deletion. It’s maybe a little bit unnecessary, but I’d rather have them and not need them than need them and have to deal with Symantec backup exec support trying to restore a lost CEO user account at 3 in the morning. This entry was posted in Backups, Microsoft, Windows Server 2008, Windows Server 2008 R2 on December 14, 2010 by SeanLaBrie.